TMZ Sports recently caught up with Paul Heyman and asked him about WWE Universal Champion Brock Lesnar possibly returning to UFC once his WWE deal expires after WrestleMania 34. Heyman, wearing sweats and unshaven, responded with a promo. "I think Brock Lesnar does whatever Brock Lesnar wants to do. If Brock Lesnar wants to fight in UFC, Brock Lesnar will fight in UFC. If Brock Lesnar wants to fight in WWE, he will fight in WWE," Heyman answered. "Ask Braun Strowman, ask Randy Orton, ask The Undertaker. Brock Lesnar does what Brock Lesnar wants to do." 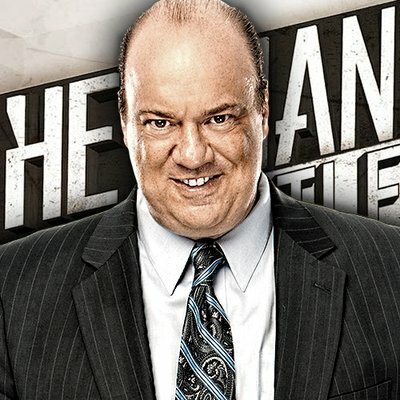 Heyman went on and said Lesnar's time away from UFC is an advantage as it gives him time to heal. "The time away actually makes him better because his body gets a chance to heal. The problem with these UFC fighters, and they're all fantastic athletes, top of the line in the entire world, is that they wear their bodies down in these training camps," Heyman said. "All these guys that are cutting weight are just destroying their own bodies. Brock Lesnar is probably the healthiest fighter to enter UFC, if he decides to do that. He's always ready." The TMZ reporter also asked about Heyman possibly being interested in representing WWE newcomer Ronda Rousey. "Why limit people that I have my eye on to Ronda Rousey. I have my eye on anyone who's a top box office attraction, Heyman said. "I have my eye on Enes Kanter of the New York Knicks, I have my eyes on Aaron Judge & Luis Severino of the New York Yankees." Heyman joked about sports stars coming to him for representation and said representing The Beast is a full-time job but he's open to other ideas. "How do you know other sports aren't coming to me? When you're the best advocate on the face of the entire planet, you're in demand," Heyman added. "My plate is full. When you advocate for the reigning, defending, undisputed Universal Heavyweight Champion Brock Lesnar, that's a 24-7 job but if I happen to find an extra moment in my schedule for someone else, that's just a whole bunch of side cash for me." As seen below, Heyman also took to Twitter this afternoon and responded to TMZ's headline for their video, which was written like this: "Brock Lesnar Is Primed for UFC Comeback, Says WWE Manager Paul Heyman."